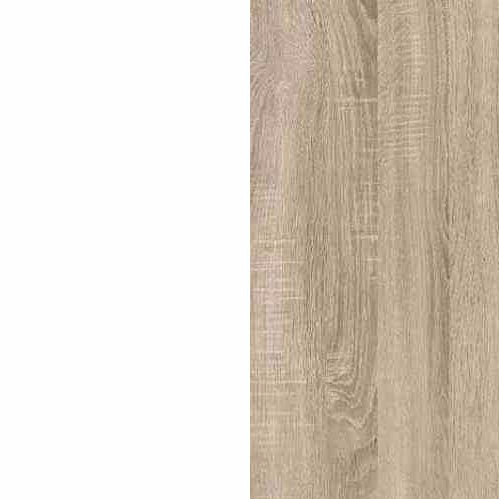 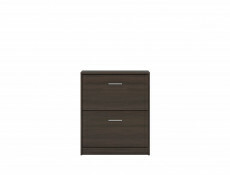 Aluminium look handles are a stylish simple addition and go well with straight form of those units. 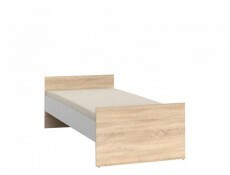 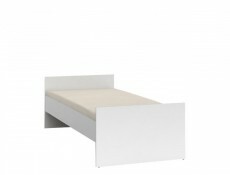 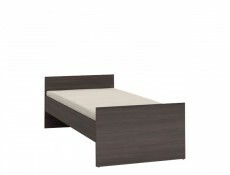 1x Single Bed - LOZ90 Size: 44.5-66.5 cm (H); 95 cm (W); 203 cm (L). NOTE! 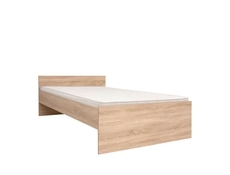 Price does not include mattress. 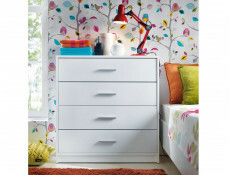 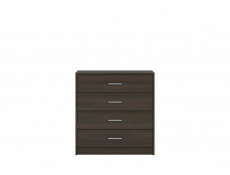 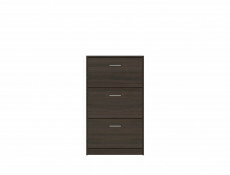 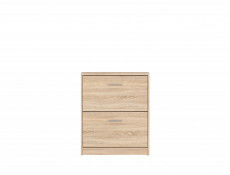 1x Chest of Drawers - KOM4S Size: 84 cm (H); 80 cm (W); 34 cm (D). 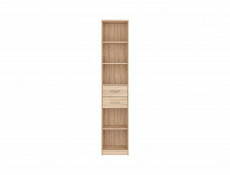 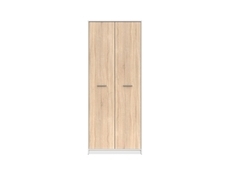 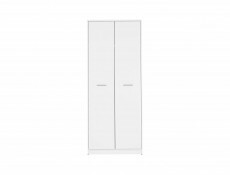 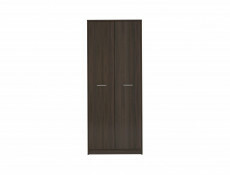 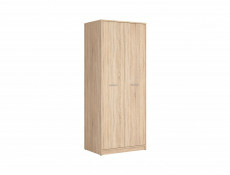 1x Double Wardrobe - SZF2D Size: 197 cm (H); 80 cm (W); 54,5 cm (D). 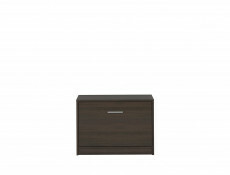 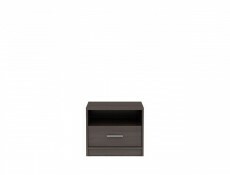 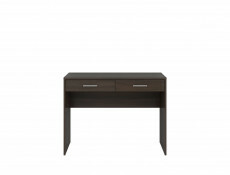 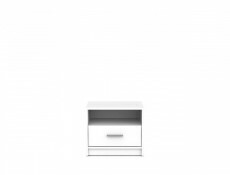 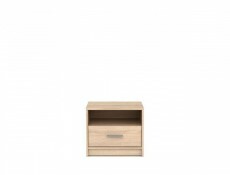 1x Bedside Table - KOM1S Size: 42.5 cm (H); 49.5 cm (W); 34 cm (D). 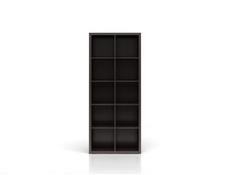 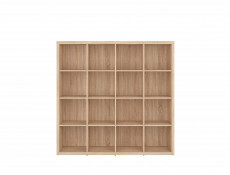 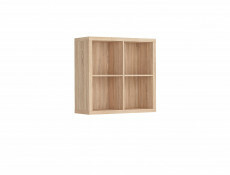 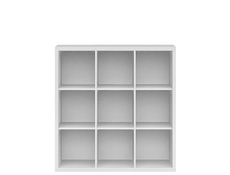 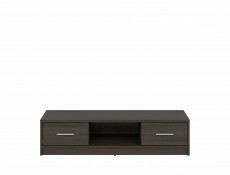 1x Open Shelf Unit - REG/15/12 Size: 149,5 cm (H); 117 cm (W); 38,5 cm (D).